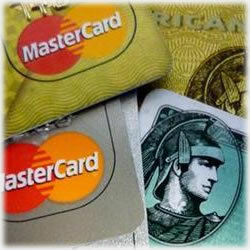 Credit cards, without any doubt, give modern life a boost by facilitating fast and easy electronic money transfer. However, apart from money transfer, most of us do not utilize the other facilities that come with credit cards. Most credit card owners are not even fully aware about the terms and conditions related with their credit cards. Apart from that, they are also unaware of their own financial needs, and often end up choosing the wrong credit cards or get mired in credit card hassles like late payment issues, high interest rates and collection calls. For new card users, most card companies offer a lower introductory rate of interest. This can be put to use when you have balance on your old card. You get to transfer this balance to your new credit card and pay less for the outstanding amount. However, these rates are valid for a limited introductory period, and involve only particular types of transactions. Therefore, you must ensure that you understand all the associated terms and conditions before utilizing this benefit. Often, card companies launch schemes that allow you to make purchases without having to pay the interest on the purchase for a certain time period. This can help you buy something that you have wanted to for a long period of time, especially a high value good, without having to pay any interest for it. You may even get grace periods above and beyond the no interest period for certain purchases. Normally interest is charged every time you make a new purchase, as soon as it goes beyond the interest free period. By making credit card bill payments on an ASAP basis, you can save yourself from getting into credit card debt and also from paying anything extra in the form of interest. If you are unable to pay certain credit card bills in full, then you can transfer the balance to a lower interest rate scheme. By doing so, you will able to save the money that you are otherwise spending on interest payments. Make sure that you transfer your balance to a card where you have an interest exemption (new card or scheme) or where the interest rate is much lower than what you were paying on your other cards. By never over reaching your credit card limit, you save yourself from paying additional penalty for going beyond the credit limit. Needless to say, these penalties will add unnecessary charges to your credit card bill. This is of relevance when there is an uncertainty about the exact billing amount. In such a case, billing authorities often hold your credit card till the final amount is realized. Try to pay in cash in such cases, since if the billing amount exceeds your credit limit, you might end up paying much more than you expected to. In all statements sent to you, credit card companies are required to intimate you about any changes in interest rates. However, in cases where you have variable rate credit card or where you are availing a certain interest free scheme, the company may not always inform you when the rate of interest changes. In such cases, it becomes your responsibility to track interest rate changes in order to save yourself from unexpected interest charges. Keeping the above mentioned tips in mind will help you avoid unnecessary credit card charges while letting you utilize them to the max. Other ways by which you can get the most out of your credit card is to always shop at places that have tie ups with your card company to offer discounts and schemes. And if you have a reward card, make sure that you use it in a way that favours you and not your card company.